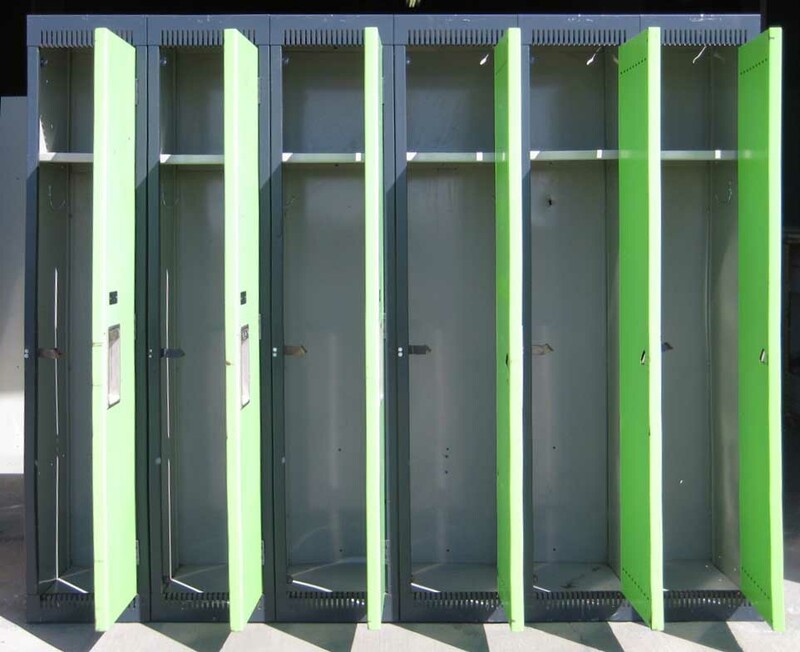 These Lockers for Sale are available on www.buyusedlockers.com where they have a huge selection to choose from if we need additional supplies. 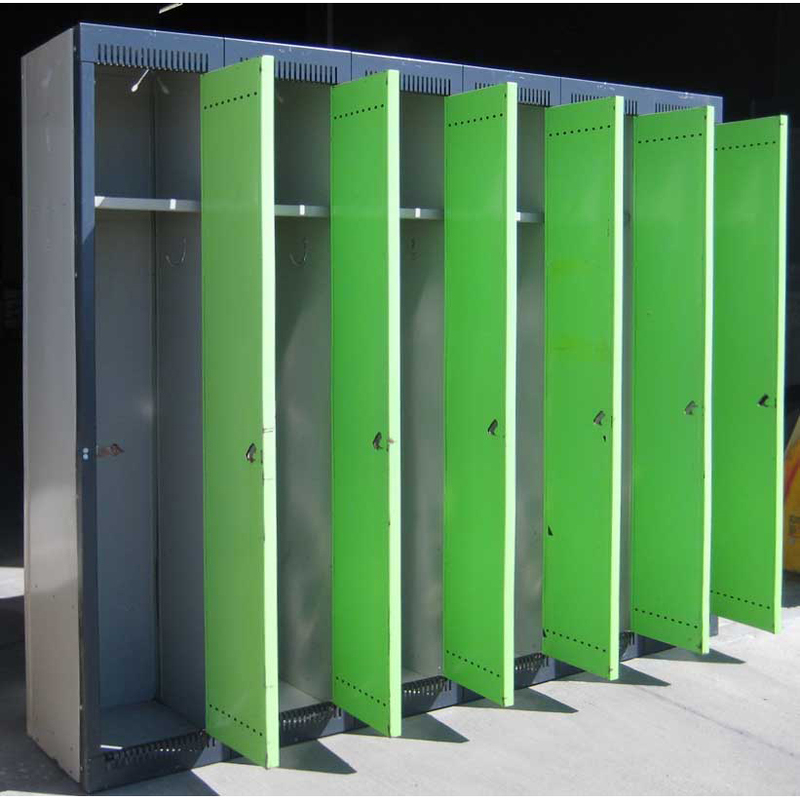 Check out these trendy two-tone single tier lockers for sale at a discounted price! They feature solid double pan doors for the ultimate in heavy duty security with a single point latching mechanism to allow for maintenance-free operation, along with piano-style hinges and superior rigidity to prevent forced or levered entry. Measuring 12” wide x 15” deep x 60” high, they are in very good condition, fully functional, and include an upper shelf and coat hooks to allow for plenty of storage options – hats, books and personal items can be stored on the shelf, while shoes, cleats and backpacks can be placed on the floor, with jackets, uniforms and towels hung on the hooks. 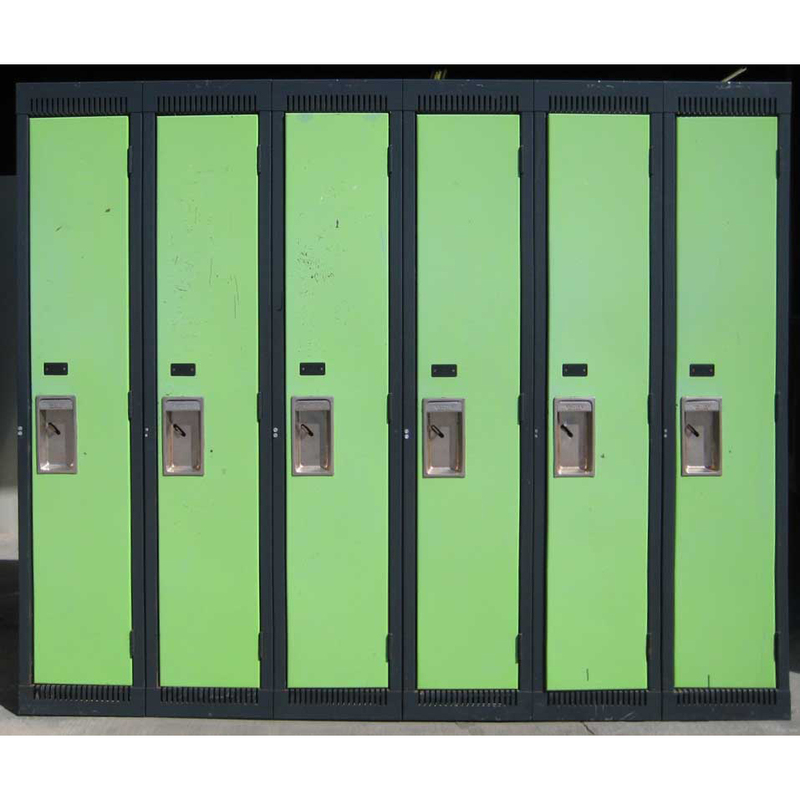 The popular color scheme of black frames with lime green doors will look great in your locker room, school or gym! 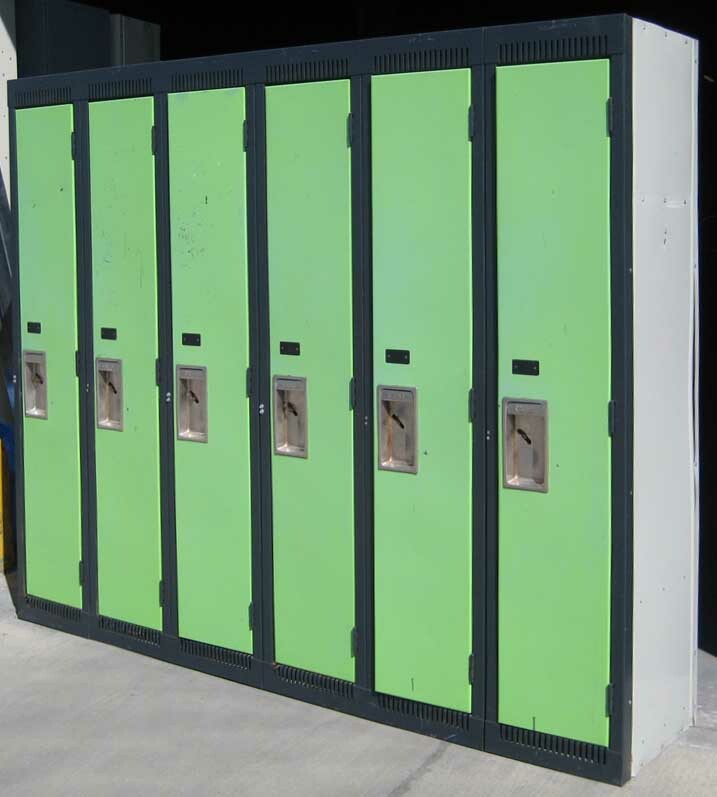 Manufactured by Hadrian, the top manufacturer of lockers in Canada. Top quality lockers for sale!